Overlooking the Soo Locks, the Ramada Plaza Sault Ste. Marie Ojibway is a beautifully-appointed landmark hotel built in 1927. Nestled in Sault Ste. Marie's Historic Lockside District, the hotel is conveniently located near a variety of unique shops, restaurants and attractions. Leisure package plans offer opportunities to enjoy both the fine hotel amenities as well as many popular area attractions including the Soo Locks Boats Tours, Agawa Canyon Train Tour and Kewadin Casino. Please call the hotel directly to book them. 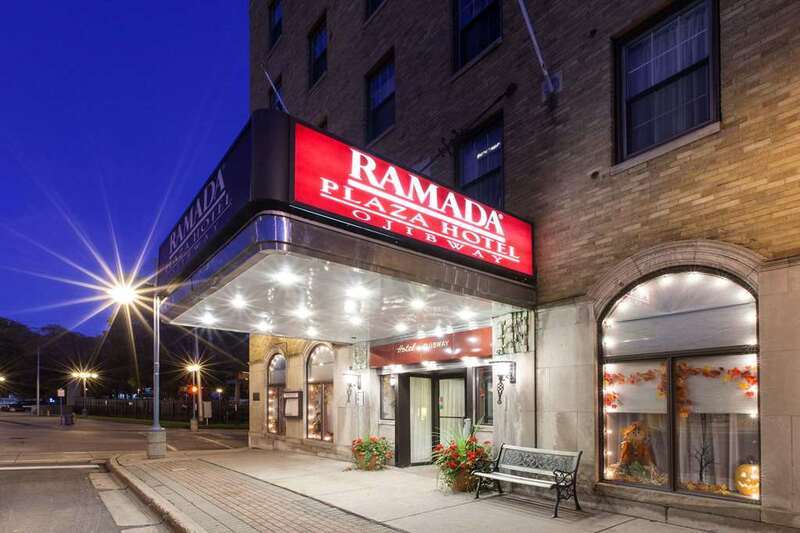 Additional features of the Ramada Plaza Sault Ste. Marie Ojibway include Freighters Restaurant with spectacular views of the Soo Locks, Captains Pub, Free Wireless Internet, Business Center, Indoor Heated Pool, Sauna, Hot Tub, Meeting Space, Business Center, Fitness Center, Restaurant, Free Parking and much more. 100 Percent non smoking property. We are pet friendly.